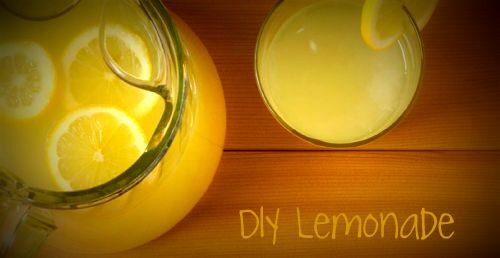 This lemonade recipe is super simple and easy for kids to make. A lot of lemonade recipes call for making simple syrup which involves cooking. I find that superfine sugar dissolves easily in water, making it a totally no cook recipe. Using a manual citrus juicer have your child juice all of the lemon halves. In a large pitcher add 6 cups of water and 1 cup of superfine sugar. Stir well. Add ice and using a strainer add the lemon juice and stir until sugar is dissolved. Serve and enjoy! Refrigerate unused portion. * I have found that you can cut the sugar to 3/4 cup with little difference in taste. Did you like the lemonade recipe? Try more delicious recipes here!